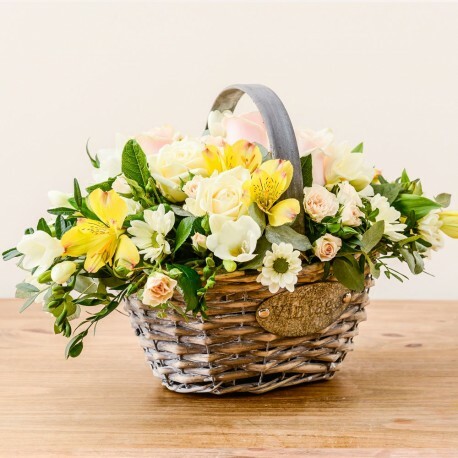 Happy basket arrangement. Some flowers may vary due to availability & a similar substitute will be used. Basket shapes may vary due to availability & a similar container will be used.